DemGen stands for Demand Generation. We are keenly aware that acquiring and retaining clients is about more than just a sales call. It’s about building a relationship. Are you investing in marketing and advertising, yet letting leads pass you by? Does your inside sales team not follow up in a timely manner? Are you focusing on making the sale over creating a lasting relationship? 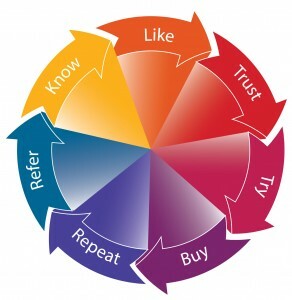 As with any sales or lead generation campaign, the focus is on results, and not just for the short term. We see the big picture and strive to secure clients for life! Our team doesn’t simply recite sales scripts and try to close the deal as soon as possible… (Although we can and have!) We strive to educate and truly communicate our clients’ value. We have conversations, build rapport, nurture the lead, follow up if necessary and get much greater results. We care for our clients’ leads and it shows in our work. That’s why our clients return, asking for our team members by name, for their next campaign! We can help you to develop organic lead generation campaigns, so your leads are warm, primed and ready to buy. You will be updated with regular reports, based on the metrics you require. Not sure exactly what you need? Learn more about our lead management systems. Interested in learning about everything we can do to grow your business? 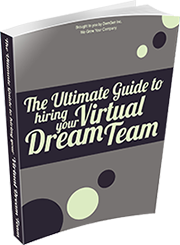 Then download our free report, 101 Ways a Virtual Team Will Grow Your Business in the left toolbar.